In the middle of summer, fall may be a far off thought. But despite the summer festivities being in full swing, cosmetic houses are already rolling out next season’s offerings. And you may be surprised at the departure of a multi-season staple. 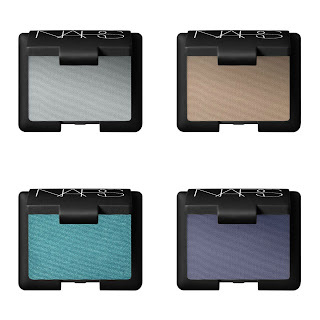 NARS has delivered a sneak peek of their Fall 2013 collection and it is sans sparkle! Plus, the new line has taken another major departure from the traditional black smoky eye, opting for a very sultry navy. If you’re thinking that you have to wait to get your hands on the new range of fall colors … think again. NARS will introduce the fall collection on July 15. So, what’s the Fall 2013 collection all about? Would you believe matte! Completely chic and completely sophisticated, it brings hope that we can look forward to refined offerings across the board. 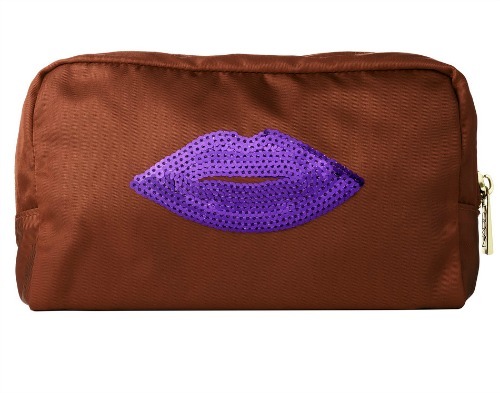 The collection includes two nail lacquers, Galathée and Fury, which are lovely shades of royal purple and pewter and which have The Makeup Examiner filled with joy for fall. Beautynistas will be clamoring to get hold of NAR’s first makeup bag, a limited edition pochette and The Makeup Examiner would very much like to say that it’s something she’d covet. But, no love here. This, of course, would be the only item in the NARS Fall 2013 offering to not fall in love with. Although we’ve witnessed hues of red for several seasons, the shade continues into Fall 2013. Anyone complaining? Me neither. The NARS Fall 2013 collection will be available online at NARS and select retail location beginning July 15.